Ian To, a member of the Swindon Wheelers Cycling Club, is making an attempt on the solo bicycle records for Land's End to John O'Groats and 1000 miles, both the RRA and Guinness World records in 2019. He will be supported by friends, family and the club in his attempt but is seeking funds to provide the required fuel and supplies needed. 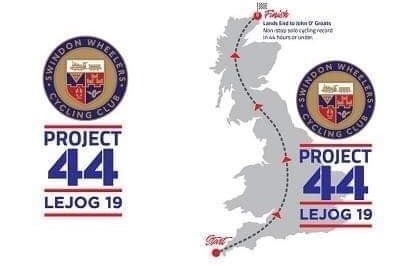 The record stands currently at 43.5 hours and requires an average speed for the entire duration of around 20 mph so it's no small task and will take a massive effort, mostly, of course, from Ian himself.